The cost of laser eye surgery is something that usually helps people to make the final decision whether they want to go through with the procedure or not. Unfortunately there isn’t one set price to have it done as there are so many different procedures available (for instance, well-known provider Optimax offers five, and of course different clinics that have their own different rates. It can seem quite intimidating and confusing for someone who’s only begun to see what his or her options are; indeed, doing your homework is necessary before you put any money down for an operation. 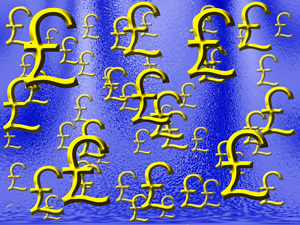 Whereas some practices will advertise costs as low as £400, this usually reflects the experience of the actual surgeon. Ultimately, the price you will pay is mostly dependent on the surgeon’s experience, qualifications and his rate of successful operations. Therefore, the best surgeons will probably charge thousands of pounds per eye for the procedure, whereas newly qualified surgeons with less experience will not charge as much. Many clinics advertise low prices, however, it’s very likely that you won’t pay this little, unless you already have a very low prescription and you need only a little correction done. Usually, patients who opt for laser eye surgery have complicated conditions, which require more delicate procedures and therefore are a greater cost. There are, of course, multiple types of surgery that all come at a different cost. For instance, standard LASIK ranges from £400 to up to £1500 per eye. As stated above, it’s unlikely that you’d pay the lower range, unless your condition is incredibly moderate. Some practices do have a fixed price for all. Wavefront procedures are available as an ‘add-on’ to the LASIK operation; you can expect the cost to rise by a further £400 if you opt for this. If you’re going with Intralase surgery, you can expect another £300 on top of what you’re already paying. There are other types too; you just need to make sure that you’re aware of all your options. As stated above, the overall costs will depend on the clinic that you’re using. Some have hidden costs, others claim not to have any hidden costs at all. While most will charge differently for each procedure, some clinics will charge one price for all. Leasing or Financing: What’s the Best Option for You?